Located less than an hour from Greenwich, Fairfield County is a New England destination you won’t want to leave off your bucket list. No matter what time of year you visit, there is always something new to see and do. With a multitude of Fairfield County events taking place annually, it can be difficult to choose which ones to attend. That’s why we’ve compiled a list of some of our favorites! The next time you stay at the Stanton House Inn, make your way to one of these fun festivals and get to know Connecticut like a local. Find more fun things to do in Fairfield, CT in our free Greenwich Vacation Guide! It’s also filled with a variety of Fairfield County events to experience, local restaurants, museums, and more. Download yours today! If you have a taste for seafood, this event is for you! The Oyster Festival is held in East Norwalk on Labor Day weekend each September. It features oyster shucking contests, live music and entertainment, craft beer tastings, food vendors, a children’s area, and more. 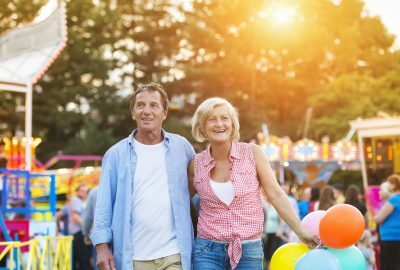 The Oyster Festival is a popular event that has drawn upwards of 90,000 attendees in previous years, so be sure to make your accommodations ahead of time! The UBS Parade Spectacular presented by the Stamford Town Center is one of the largest helium balloon parades in the country! The event features more than a dozen giant balloon characters, award-winning marching bands, and a variety of fabulous floats. The parade takes place in downtown Stamford and is a must-see when you visit Fairfield County for Turkey Day. When Santa Claus comes to town, so does the annual Greenwich Reindeer Festival! As one of the best fairs in Fairfield County, CT, this annual holiday festival takes place each December in downtown Greenwich and celebrates the most wonderful time of the year with a live nativity scene, horse-drawn carriage rides, carolers, local food trucks, a professional ice sculpture demonstration, and much more. Don’t forget to pay a visit to the live reindeer and, of course, Santa Claus himself! For 81 years, the Greenfield Hill Church in Fairfield has celebrated Mother’s Day with their annual Dogwood Festival. In May, guests are invited to stroll amongst beautiful Dogwood flowers and enjoy arts and crafts vendors, a 2-mile family fun run, a fabulous Friday luncheon, and live music performances. Plus, all of the proceeds from the Dogwood Festival are donated to women’s and children’s charities. That way, you can enjoy a wonderful weekend while making a difference. Also held each spring, the Outdoor Crafts Festival at the Bruce Museum is an absolute must! The festival is regularly held one week before Memorial Day and features original artwork by some of the most talented artists in the country. Visitors can purchase everything from one-of-a-kind ceramics and jewelry to glass and leather works. A variety of craft demonstrations, family activities, and live music will be offered throughout the day. No matter what time of year you plan to visit Connecticut, our Greenwich bed and breakfast is an ideal homestead for you and your family. Whether you spend your day at an event or choose to explore the many galleries, shops, and restaurants around town, our beautiful rooms and suites are the perfect place to unwind after a fun-filled afternoon. Our guests are also treated to a complimentary continental breakfast, and warm hospitality. Plus, we are the only accommodation in the region to offer guests with an outdoor pool! It’s everything you need plus more to make memories that will last a lifetime. 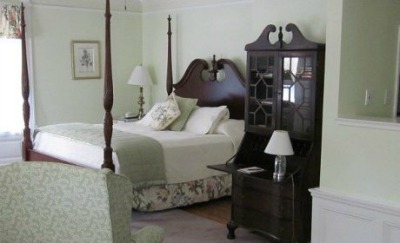 Book your favorite room at the Stanton House Inn today! We look forward to welcoming you to Greenwich soon.